Just to let you know, I have decided to slow down the amount of posts related to animation news in order to dedicate my rare free time to my portfolio and showreel. I should however direct you to three great websites that should get you covered with everything that goes on in the Animation industry. 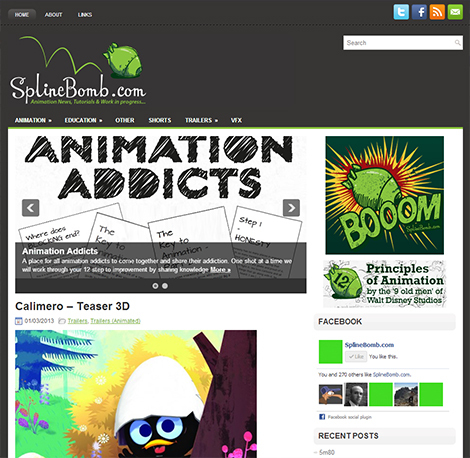 Splinebomb, Cartoon Brew and for the Spanish speakers, Arte y Animación. Ah I was forgetting Jean-Denis Haas’ Spungella.